Of course there's value in sharing. 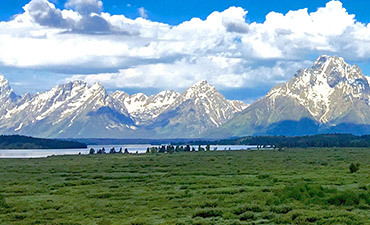 But having Yellowstone and Grand Teton National Parks all to ourselves seems pretty sweet. 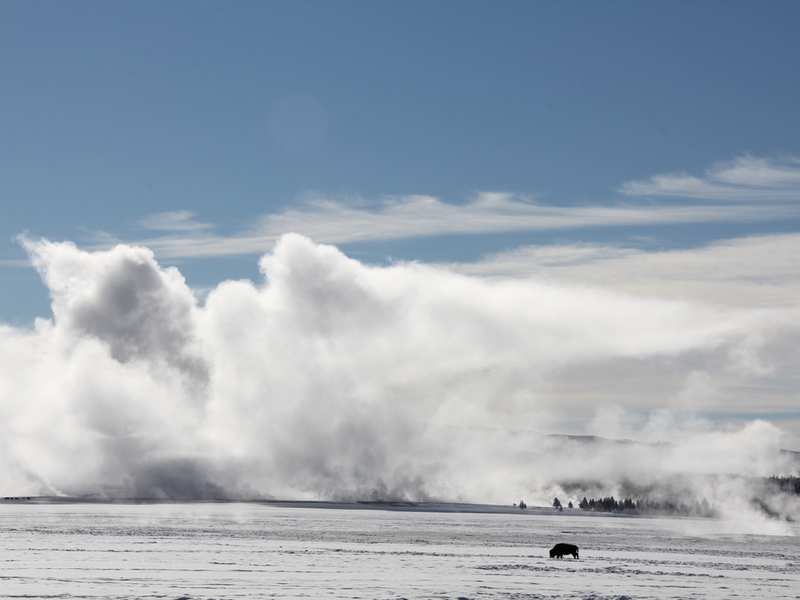 The sight of bison lumbering across the icy landscape. Otters fishing in semi-frozen streams. 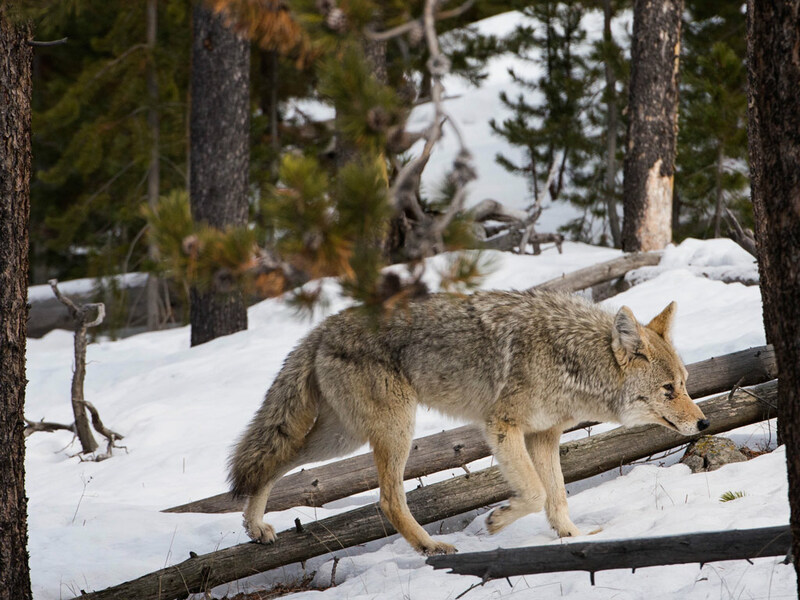 Maybe even a glimpse of a cautious gray wolf. 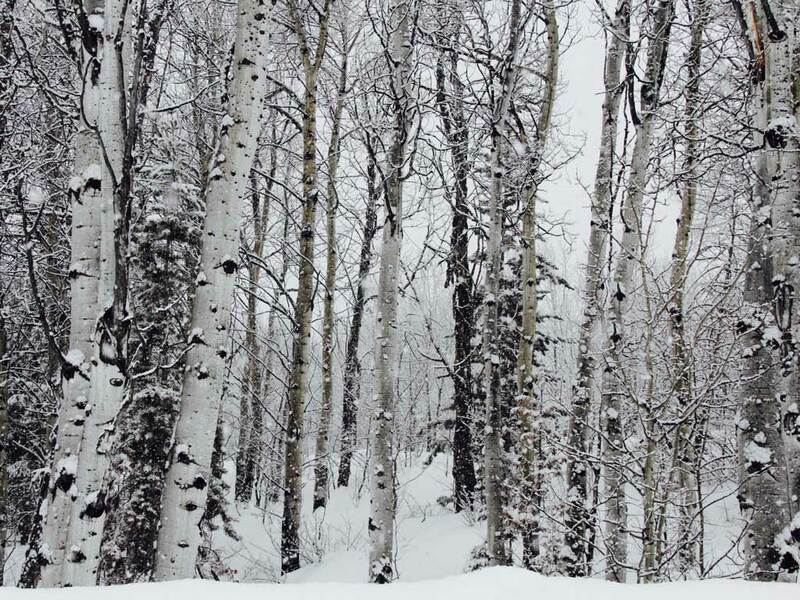 A winter wonderland of epic proportions. And we can't wait to share it with you. 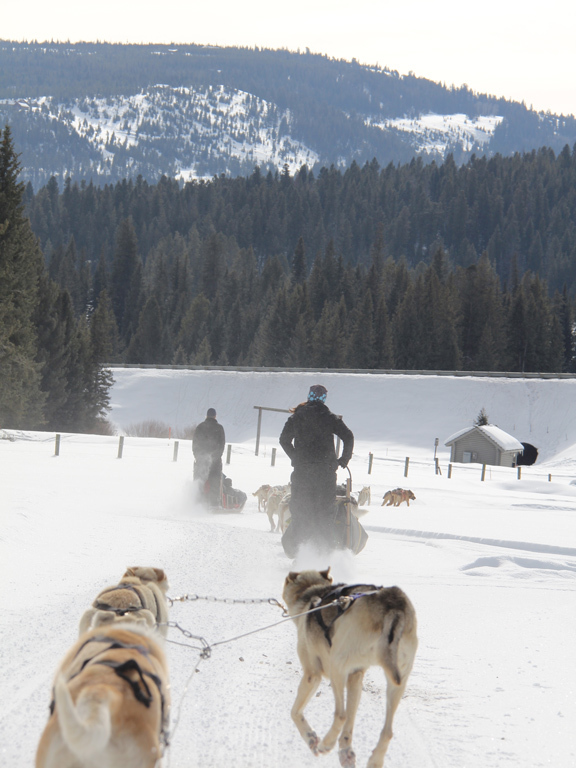 Day 1 Embark on an exhilarating snowshoe adventure through the sparkling Gallatin Valley | Learn about dogsledding from an expert musher—then drive your own sled! 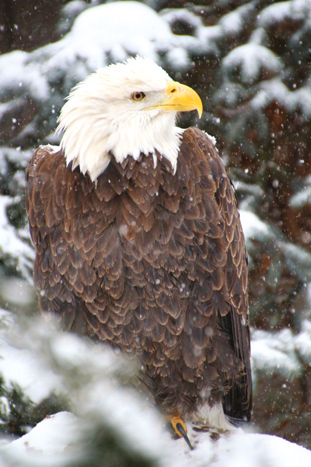 | Marvel at the snowy landscape from a warming tent with a hot drink | Listen to the Gallatin River flow by from our cozy lodge. 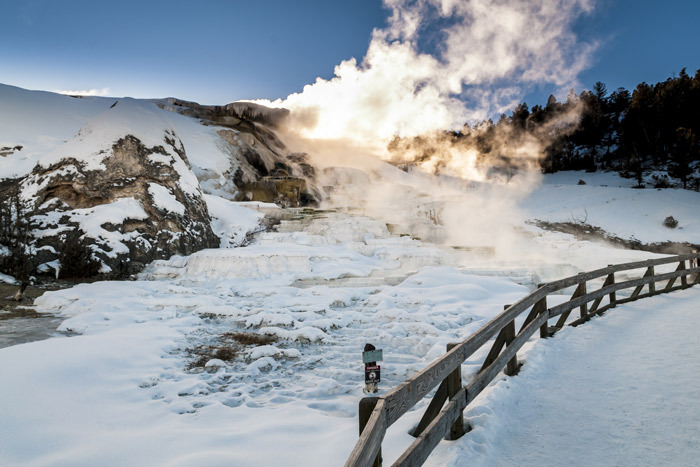 Days 2-3 Journey by snow coach into awe-inspiring Yellowstone National Park | Keep an eye out for graceful trumpeter swans while traveling along the Madison River | Watch for bison foraging in open meadows and steam rising from colorful geothermal pools | Snowshoe through Upper Geyser Basin, passing Old Faithful, Castle and Spasmodic Geysers | Ascend Geyser Hill for a breathtaking panorama of snow-covered mountains | Put a final spin on the day at the lodge's ice skating pond. 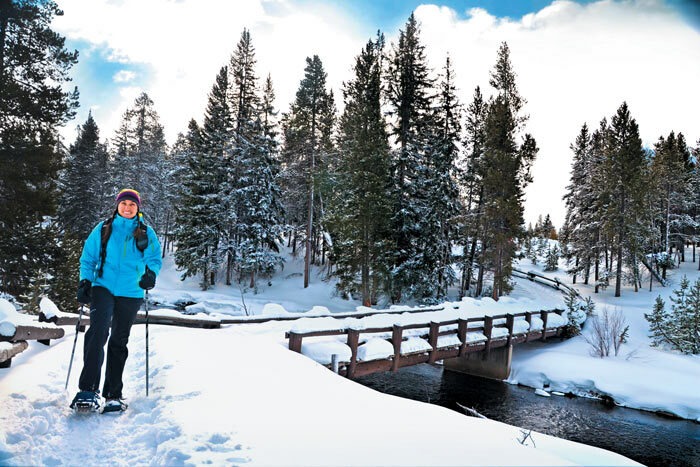 Day 4 Snowshoe along the Firehole River as you take in vistas of the surrounding mountains | Explore southern Yellowstone en route to Grand Teton National Park in a heated snow coach | Cross over the Continental Divide and explore West Thumb's geothermal features | Admire Lake Yellowstone, Lewis Canyon, Lewis Falls and astounding views of the Teton Range. 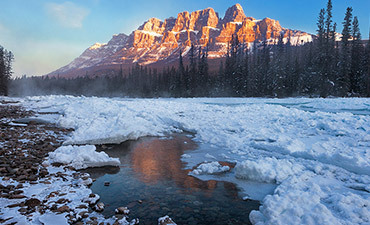 Days 5-6 Snowshoe to Bradley and Taggart Lakes under towering peaks | Wander the wood sidewalks of the Old West town of Jackson, exploring its art galleries and shops | Enjoy a horse-drawn sleigh ride through herds of elk | Explore local artists' work at the National Wildlife Art Museum. From $4,599 - $4,999 pp dbl. occ. This intimate riverside lodge is located in the sweeping Gallatin Valley, in the heart of the Rocky Mountains. 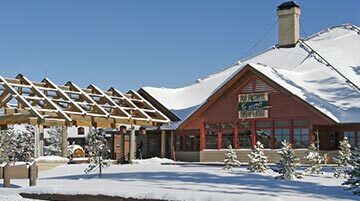 A superb example of classic "parkitecture," this lodge features log and cedar accents, rustic wildlife-themed décor and proximity to the famed geyser. 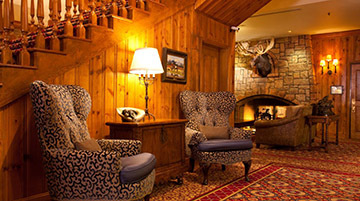 Get a taste of the Old West at this charming historic hotel with custom western furniture, original artwork, a roaring fire and the famous Silver Dollar Bar. 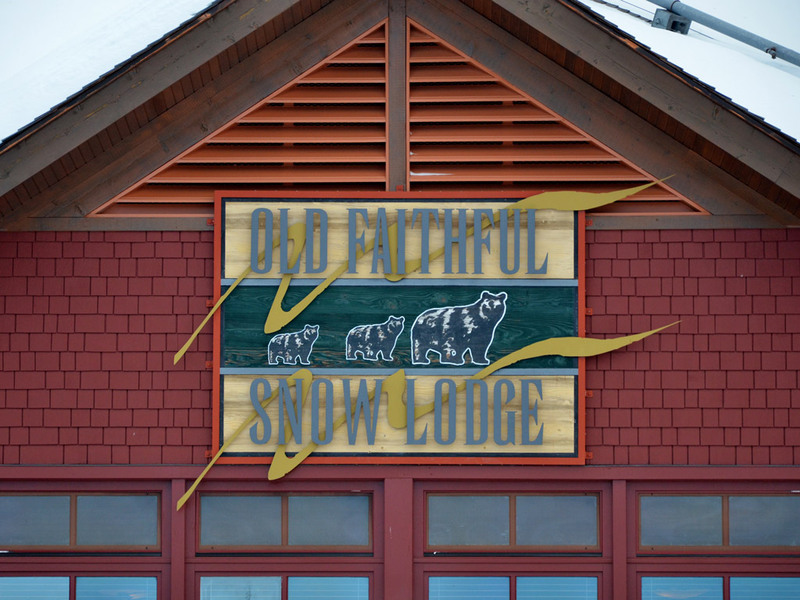 Old Faithful Snow Lodge is a fairly rustic national park lodge that reflects the natural surroundings of Yellowstone National Park. 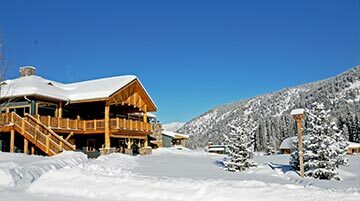 While this hotel offers simpler accommodations than the typical Backroads property, it provides unparalleled access to the best hiking and snowshoeing in the region. Please note that guest rooms are not equipped with televisions. Generally speaking, service in the national parks can seem laid-back when compared with the high standards of service found on other Backroads trips. 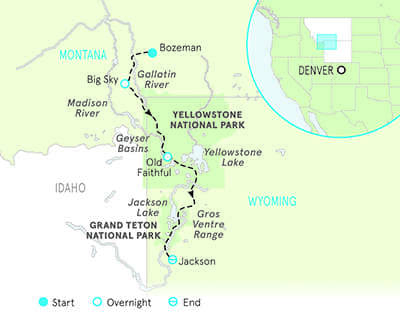 The National Park Service limits the size of all groups in Yellowstone and Grand Teton National Parks. 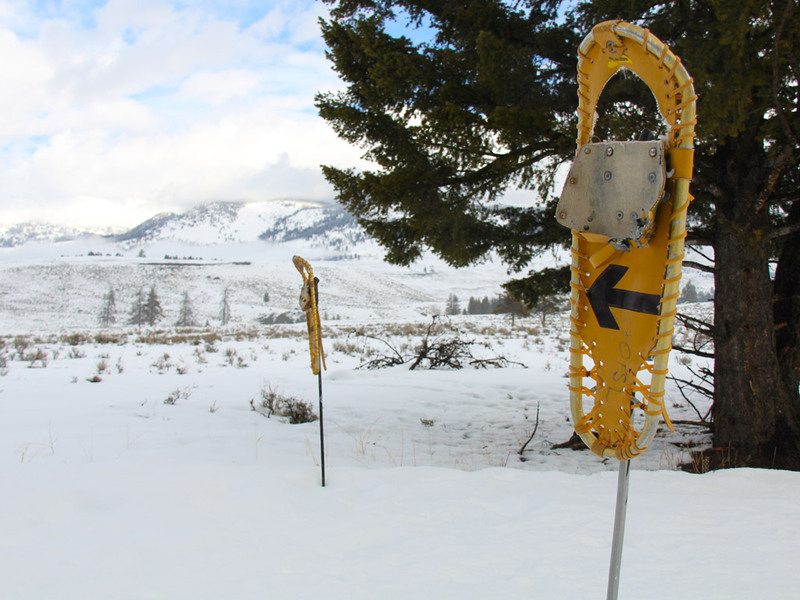 Accordingly, you'll hike and snowshoe in small groups with Backroads leaders and local guides. We appreciate your cooperation with the parks' regulations. 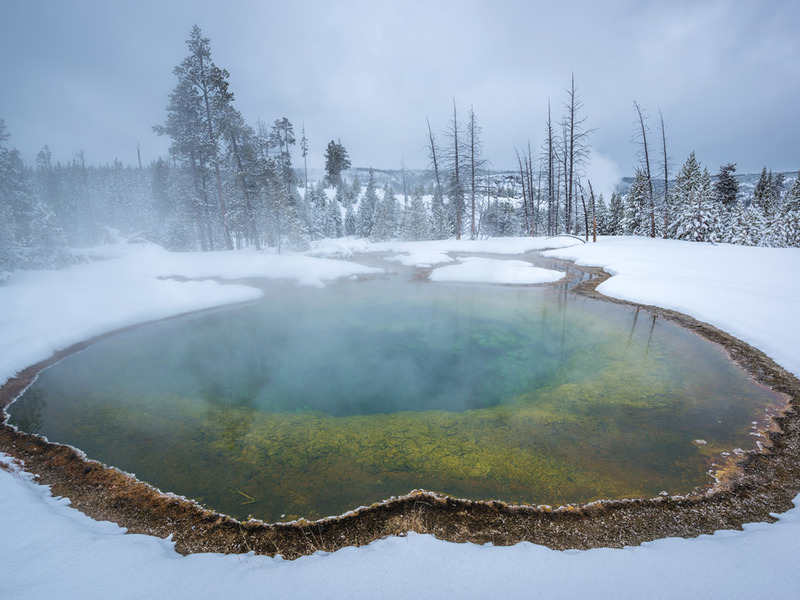 Winter weather in Yellowstone and Tetons can be among the coldest in the United States, but you can comfortably enjoy the outdoors if you're properly dressed. 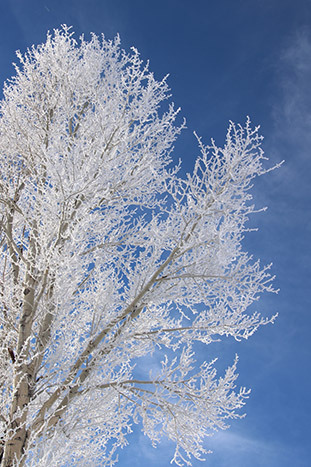 In order to snowshoe or hike in the snow, you must wear waterproof snow boots or hiking boots and waterproof breathable pants, jacket and gloves. 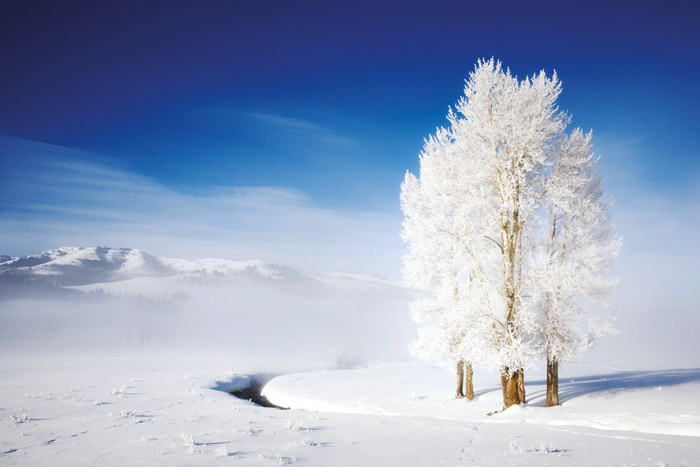 Your clothing should be warm enough to allow you to comfortably remain outside in below-freezing conditions for 2–4 hours at a time. 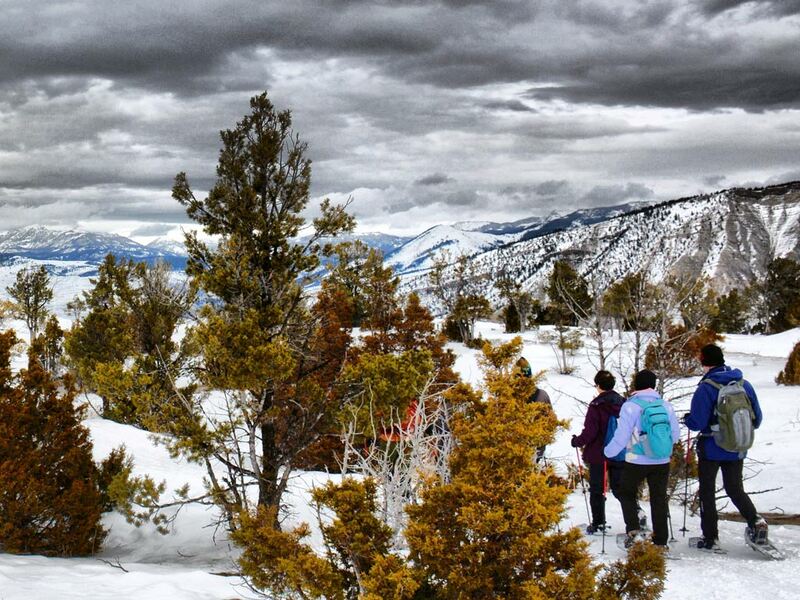 Layers are encouraged for when we snowshoe. 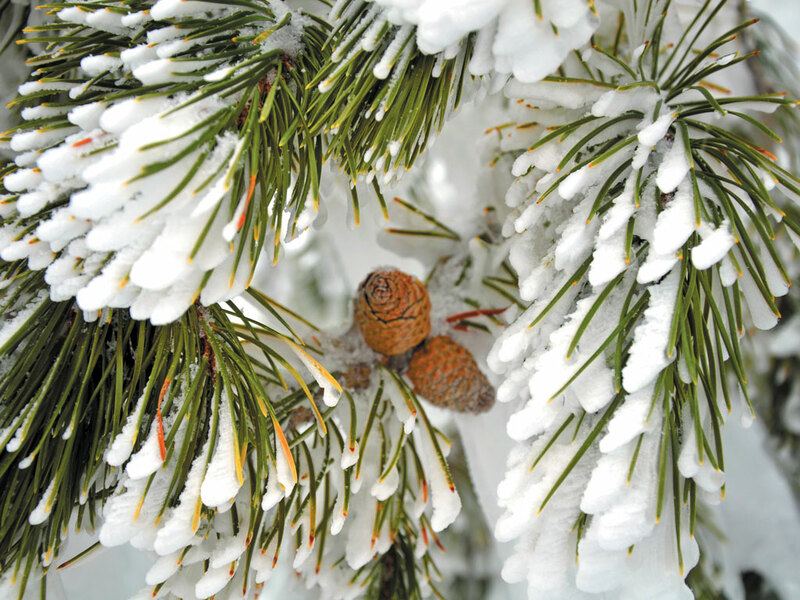 You can't have a winter wonderland without some winter weather. During December, January and February when our trips run, snow and below-freezing temperatures are likely, and even rain is possible. Please know that if we encounter severe weather during the trip that affects our planned activities, your Trip Leaders will find alternate activities that you're sure to enjoy. 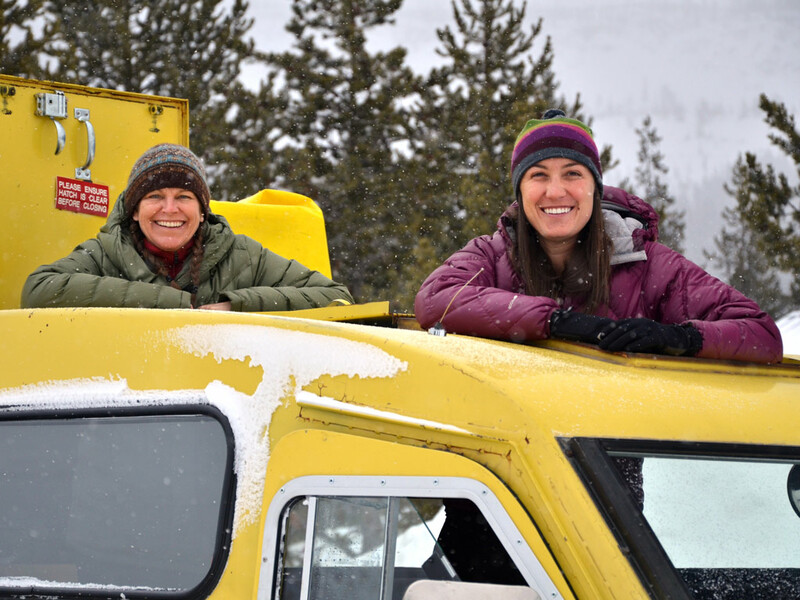 Our Trip Leaders in Yellowstone live in the area and are deeply engaged in their communities, giving them unique inside knowledge they're happy to share in making your experience that much richer. They'll introduce you to people, customs and parts of town you'd likely never encounter on your own—and teach you a few local phrases to help break the ice. 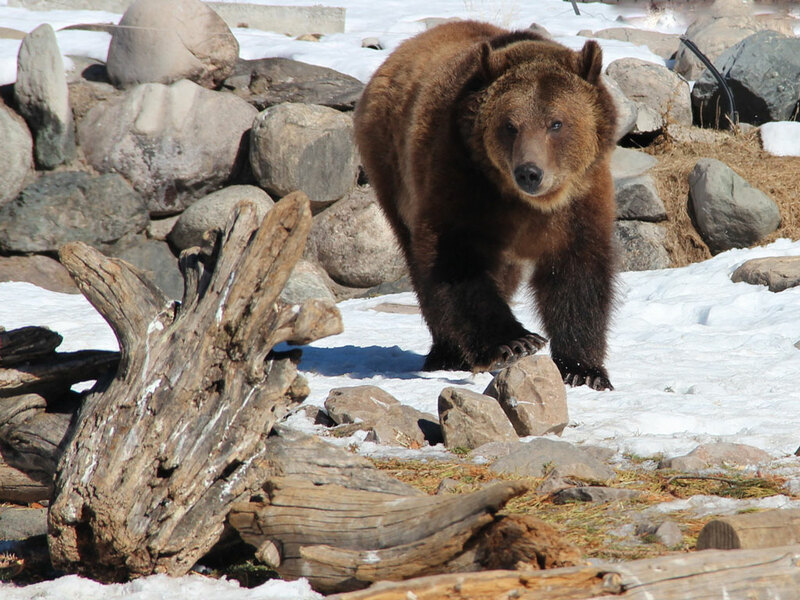 Backroads has the best-qualified people to lead your trip in Yellowstone, and our guests back that up, rating our Trip Leaders an average of 9.75 out of 10 for all-around quality of performance. Get the facts (and no fluff) on how we recruit and develop the very best people for your trip. 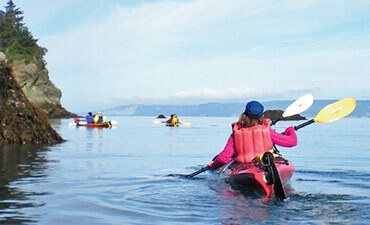 Backroads has been inviting active travelers to explore our own backyard since Jimmy Carter was in the White House. 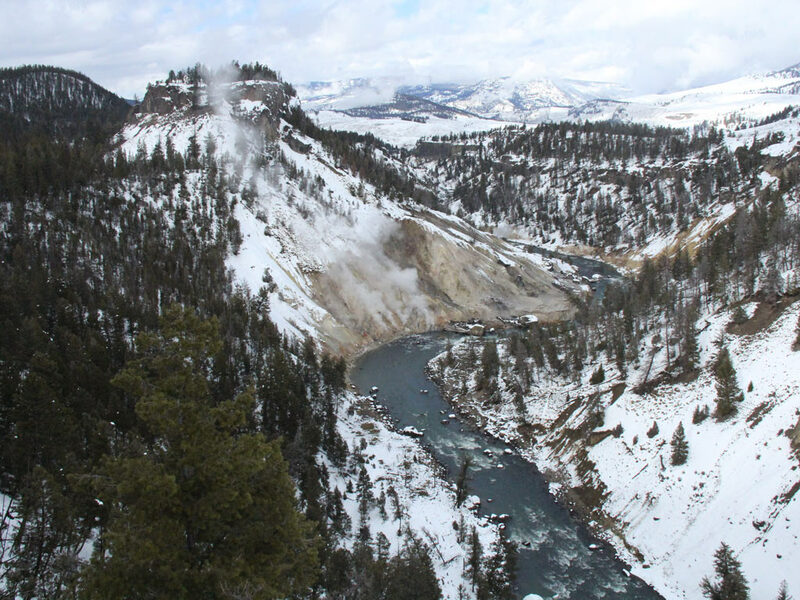 We offer more trips than anyone else in Yellowstone, and we've spent more years finding the best ones. What keeps it real is having a consistent vision and the same passionately committed leadership for nearly four decades. Coordinating multiple activities throughout a single day can be tricky, but with Backroads you'll never know it. 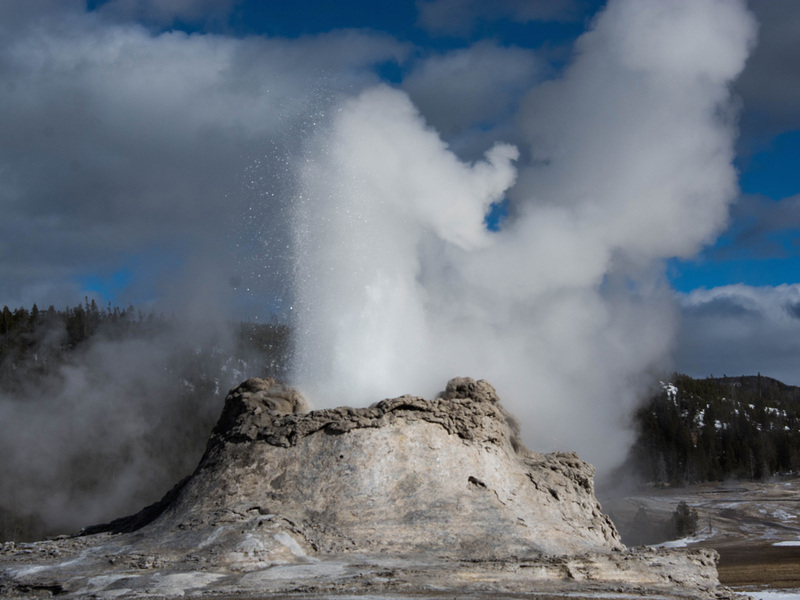 When you explore Yellowstone with us, you switch activities seamlessly without missing a beat. We invented the multi-adventure concept, and we're constantly adding new dimensions and fine-tuning the experience to make it even more enjoyable. 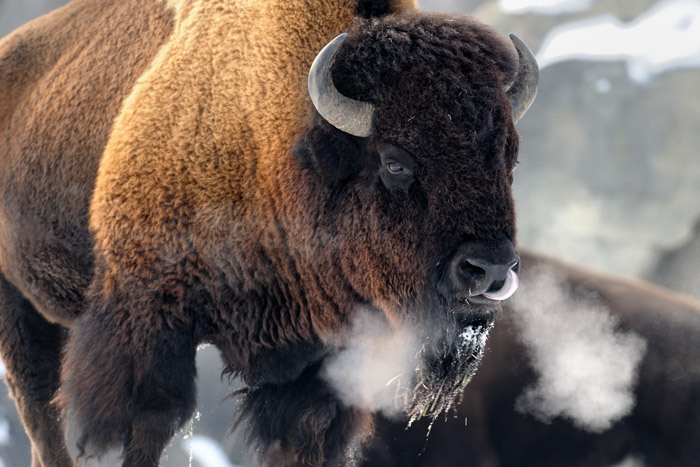 Visiting Yellowstone in the winter--when it's covered in a blanket of snow, you can see bison breathe and all is quiet--is a once-in-a-lifetime experience.